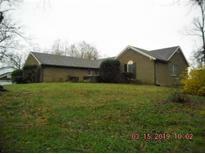 Find Hickory, NC Foreclosures for sale. View Photos, Maps and MLS Data Now! Back yard is extra large and flat. Nice street In Eastbrook Acres. MLS#3496092. Coldwell Banker Boyd & Hassell. House to be sold "as is" MLS#3489776. PORT USA Realty. Property was built prior to 1978 and lead based paint potentially exits. MLS#3489921. Lyons Construction and Realty, Inc..
You will have public water and sewer. MLS#3486361. Winkler Real Estate. Catawba Springs - New Pool Liner and Fence in 2018! MLS#3479546. RE/MAX TRADITIONS. This is a Fannie Mae HomePath property. MLS#3398902. Berkshire Hathaway Hickory Metro Real Estate. Has water meter and sewer is located in middle of paved part of road. MLS#3469933. Kelley Realty. Governors Harbour - Achievement has its own rewards; this is one of them! Schedule your private tour today! MLS#3444375. RE/MAX Executive. This is a Fannie Mae HomePath Property. MLS#3452937. Berkshire Hathaway Hickory Metro Real Estate. Financing is readily available, and the rates are rising, so make your decision soon for the lowest payments MLS#3450851. RE/MAX Lifestyle. BANKRUPTCY ESTATE; acceptable offer can usually close in 60 days. 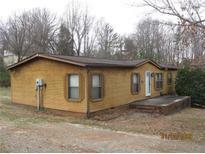 MLS#3426406. Provident Living Inc.